It may have a wood finish, but there’ll be no hope of you getting wood whilst wearing this luxurious CB6000S Replacement Chastity Cage! The CB6000S Replacement Chastity Cage Wood Finish will fit any of the CBX male chastity devices that feature the U-ring assembly. So, if you already have a CB6000 package, but the cage is slightly on the large side or a little loose fitting, this CB6000S chastity cage is the perfect solution! 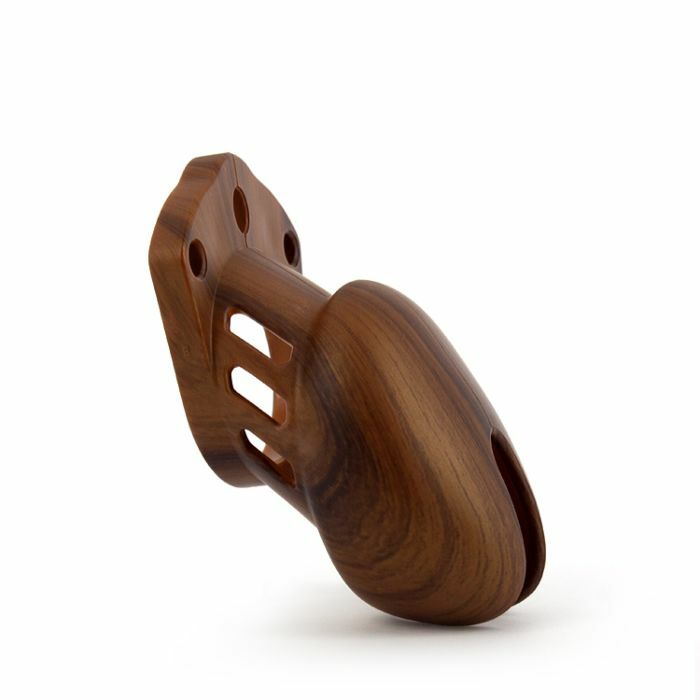 Or, if you’re hoping to switch out your plain CB6000S device for something a little more attractive, the sublime wood finish of this chastity cage will certainly catch your eye. Lightweight and discreet, this male chastity device has been cleverly constructed from medical-grade polycarbonate, which is hypoallergenic, durable and comfortable to wear for long periods of time. It has been designed with unparalleled attention to detail and features multiple vents, with a large slot at the tip for optimum hygiene and easy urination. So, quit being cagey; get yours now!